Alan Williams, 44, served as the Minnesota Vikings' defensive coordinator the last two years. 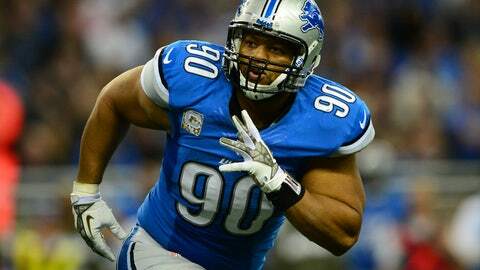 The Detroit Lions added a second former defensive coordinator to Jim Caldwell’s coaching staff. The club confirmed Friday that Alan Williams will be the team’s new secondary coach. 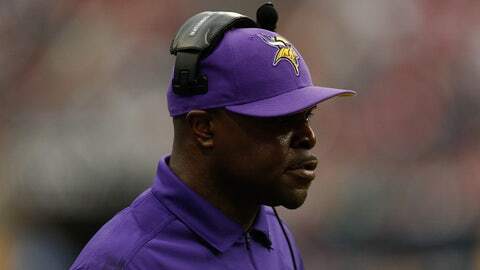 Williams, 44, served as the Minnesota Vikings’ defensive coordinator the past two years. He will be working under Teryl Austin, a first-time NFL defensive coordinator who spent the past three years as the Baltimore Ravens’ secondary coach. Bill Sheridan, the new linebackers coach, also was most recently a coordinator with the Tampa Bay Buccaneers. The Vikings ranked 32nd, last in the league, in points allowed (30) and 31st in total defense (397.6 yards) last season under Williams. The Buccaneers were tied for 20th in points allowed (24.3) and 17th in total defense (348 yards) in 2013 under Sheridan. Williams and Sheridan both were let go when their head coaches (Leslie Frazier in Minnesota and Greg Schiano in Tampa Bay) got fired after the season. The Lions apparently have openings for two more assistants on their staff – one to coach the receivers, and possibly one for the quarterbacks although offensive coordinator Joe Lombardi conceivably could double up and handle the QBs himself. There’s also a chance that the Lions might hire a "consultant" to help Caldwell with game-management decisions, similar to what former Ohio State coach Jim Tressel did for him in Indianapolis for a year.